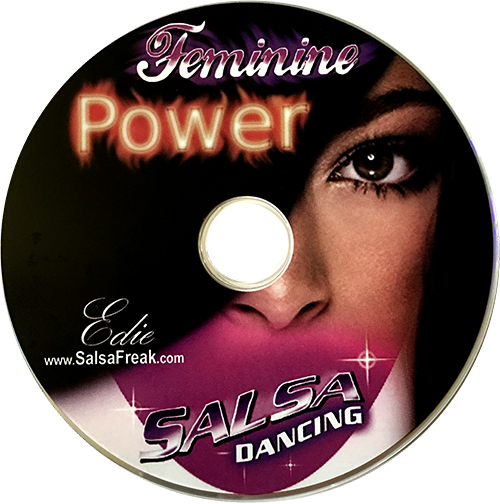 Home / DVDs / DVD 54 – Feminine Power Workshop by Edie, The Salsa FREAK!! 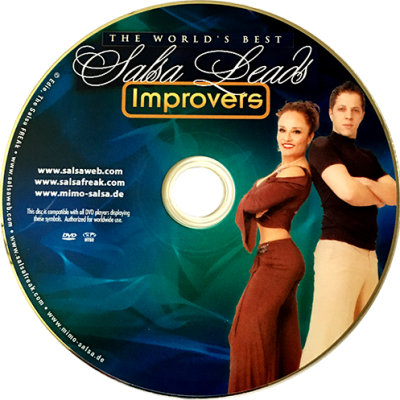 DVD 54 – Feminine Power Workshop by Edie, The Salsa FREAK!! The PERFECT DVD for the woman in your life, who wants to truly understand what men need and desire out there. She wants to give him his BEST DANCE every time. She wants him DREAMING about her after that dance. She wants him to think of HER when he wakes up in the morning. She wants to play the BEST game out there and leave him wanting HER at the end of every song!! In this unprecedented 3-Hour workshop (condensed to 90 minutes), Edie shares the Inner Secrets of inner Feminine Power on the Dance floor. She asked some of the top male dancers in the city to share with women WHAT exactly they are looking for in a Great “follow”. Details of arm placement, under/over – styling, speed of steps, spins, tension, connection, feminine hip display movements, and more were discussed and practiced. This is the PERFECT DVD for attaining a World Class Follow and giving him EXACTLY what he wants! The PERFECT GIFT for the woman of your life! !